Now available online, new Denis Colomb. 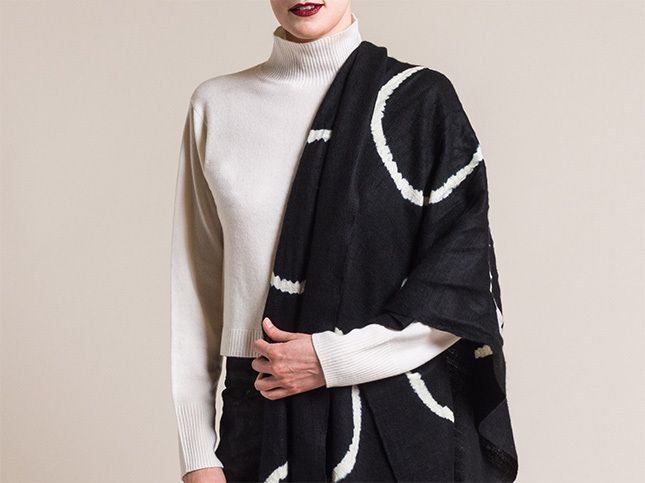 Made from hand-spun and handwoven by Nepali artisans, we received a new black cashmere/silk scarf with white ring design. This latest shipment is available online and in-store at Santa Fe Dry Goods on the Plaza in Santa Fe, New Mexico.